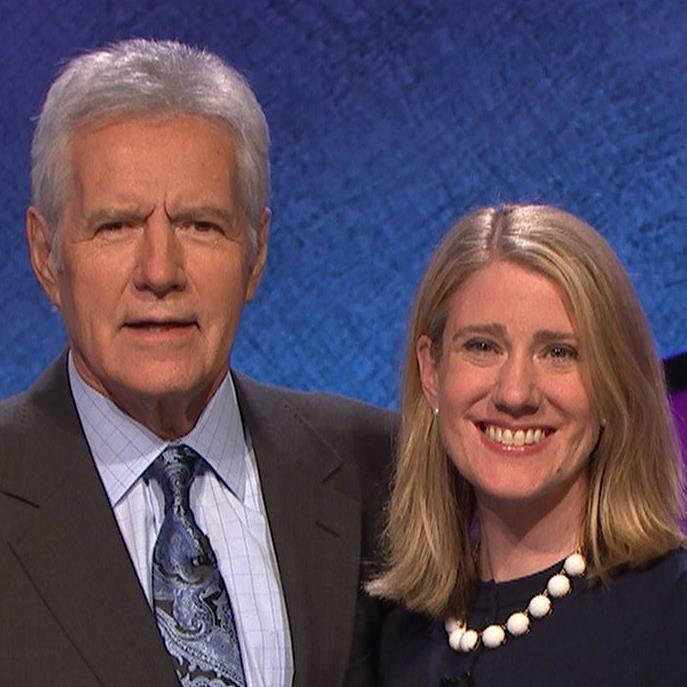 FORT THOMAS MATTERS: Campbell County Graduate To Appear on Jeopardy! Alex Trebec and Kathy Krebs. Facebook, provided. Kathy Krebs, 1992 graduate of Campbell County High School, will be a contestant tonight on Jeopardy! Krebs, who studied English and Psychology at Georgetown College, currently lives in Philadelphia, PA where she is a realtor. Megan Arnzen Krieg, whose family owns The Olde Fort Pub in Fort Thomas, was a sorority sister of Krebs at Georgetown. "She was a genius," said Krieg. 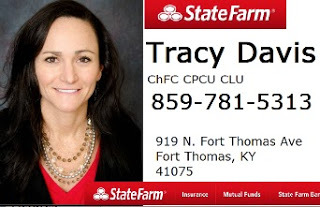 "When she lived here, she hosted trivia for numerous bars in the area and our whole family went to see her in action hosting to see how it was done. She was actually the driving force for our Olde Fort Pub trivia." Krieg, who officiated Krebs' wedding last summer in Mt. Adams, said that they will be hosting a Jeopardy! watch party tonight at The Pub. "Her favorite beer is Pabst Blue Ribbon, so we're going to do a "PBR Tall Boy" special in her honor," she said.